Unlike the prior two weeks, week 3 remained fairly quiet on the injury front. Most star players came out of the week unscathed. However, a few notable fantasy stalwarts aggravated or suffered new injuries. This week’s injury update will dive into each of these new injuries and will revisit progress on a few recurring ailments from earlier weeks. 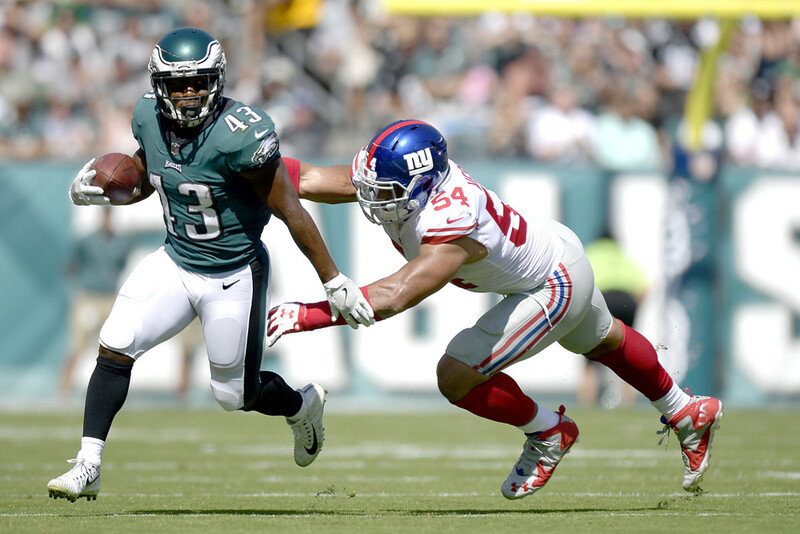 The most devastating injury this week hit Philadelphia Eagle Darren Sproles. On a single play Sproles tore his ACL and broke his arm. These injuries will end the 34-year old’s season and possibly his career. The most dynamic running back in Philadelphia, this injury is a big blow to their running game and team as a whole. After scorching the Titans for ten catches, 105 yards, and a touchdown Doug Baldwin was forced from last week’s game in the second half with a groin injury. According to Ian Rapoport of NFL Network, the injury is not believed to be severe, but the Seahawks are still awaiting results from testing. With the extent of his injury still unknown, Baldwin should be considered questionable on a short week. Late in the first half of Sunday’s game, Melvin Gordon left the field with a knee injury only to return late in the game. Reportedly the injury is a minor bone bruise. Gordon himself said that his knee was “good”, but coach Anthony Lynn said the Chargers would continue to monitor him throughout he week. He also mentioned that, “I’m sure he will be fine.” With this reassurance Gordon is likely to suit up this week against the Eagles, but the Chargers will probably limit his practice reps leading up to the game. Initially injuring his back in week two, Tyler Eifert sat out week 3 against the Green Bay Packers. After the game Adam Schefter reported that Eifert will miss multiple weeks with his back ailment, but it does not require surgery at this time. Eifert has a history of back injuries in the past. One of these injuries required surgery this offseason. With no return in sight, Eifert is questionable to even return this season. Fantasy players holding on to Eifert need to search for other options. In what was a bit of a shock, Randall Cobb missed the Packers third game against the Bengals with a shoulder injury. Cobb was listed as a limited participant on Monday’s practice report, but practiced in full on Tuesday. On a short week, it is looking like Cobb will suit up for Thursday night’s game against the Chicago Bears. Kelvin Benjamin suffered a knee injury in the first quarter this weekend and did not return to the game. While the specifics of the injury are not known, Ian Rapoport reported that Benjamin avoided a serious injury. Ron Rivera confirmed this finding on Monday saying that Benjamin’s MRI came back clean. With no other updates Benjamin should be considered week-to-week and highly questionable for this weekend’s game. Dealing with a bone bruise in his knee, Sam Bradford is again battling the clock suit up week 4. According to head coach, Mike Zimmer, Bradford remains day-to-day. The lack of endorsement suggests that Bradford may miss another week, but should return sometime in the near future. Again, consider Bradford questionable for the second straight week. After appearing like he was going to suit up for Sunday’s game, Jordan Reed missed the contest with toe, shoulder, and chest injuries. Going into this week, Reed should be considered questionable, while he heals from his variety of ailments. Should he take the field, there is no guarantee the Redskins will use him on a full compliment of snaps, given his current health. Rob Kelley appeared as a surprise inactive for Sunday night’s game with a rib injury. He initially suffered the injury in week 2, but was expected to suit up last week. Coming into week 4 Kelley should reenter the lineup, but with Chris Thompson playing well, he may see reduces snaps. A staple on the injury report, Andrew Luck has already been ruled out for week 4. However, news finally broke from NFL Network that Luck is targeting a week 6 return. Coach Chuck Pagano also noted that Luck could start practicing this week. These are good signs for Luck, but he should still be considered week-to-week as he continues to recover from offseason shoulder surgery.